Squirrel was a dog who never thought that she would need a human in her life. In fact, most of her existence was spent avoiding them. But throughout her life, people made their way to her. Ann M. Martin’s, A Dog’s Life: The Autobiography of a Stray, captivates readers with a story of a perilous journey told through a dog’s point of view. Squirrel and Bone are two stray puppies who were born in a shed and spent many of their early days sleeping in a wheelbarrow. However, Bone decided to leave their home one day and seek shelter somewhere else. This caused Squirrel to be scared and she didn’t want to leave her brother behind, so she followed him. Eventually, a woman saw Squirrel and Bone on the side of the road, and decided to adopt only one of the dogs. Seeing that Bone appeared to be cuter, she brought him home and left Squirrel by the street. From that point on, the story is devoted to Squirrel searching for Bone. The memories of her life remain with Squirrel as she retells all of the “nights in the woods under a blanket of stars, nights spent with Moon, nights in the shed when I [Squirrel] was a puppy. And the many, many nights spent searching for Bone.” Will Squirrel eventually find Bone and reunite with her brother? A Dog’s Life, by Ann M. Martin, is a superb story because of all the hardships that the main character, Squirrel, must overcome to survive. Because this novel is written in first person from the view of a dog, it is even more engaging. 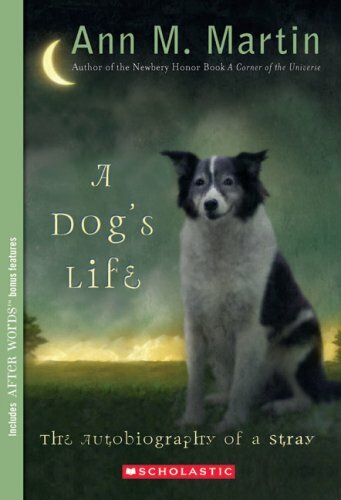 After I read this book, I wondered what encounters dogs in real life have to go through. A Dog’s Life is the book for anyone who wants to read a story about a dog that doesn’t have a tragic ending.